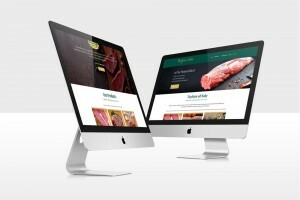 A business website design is a necessity. 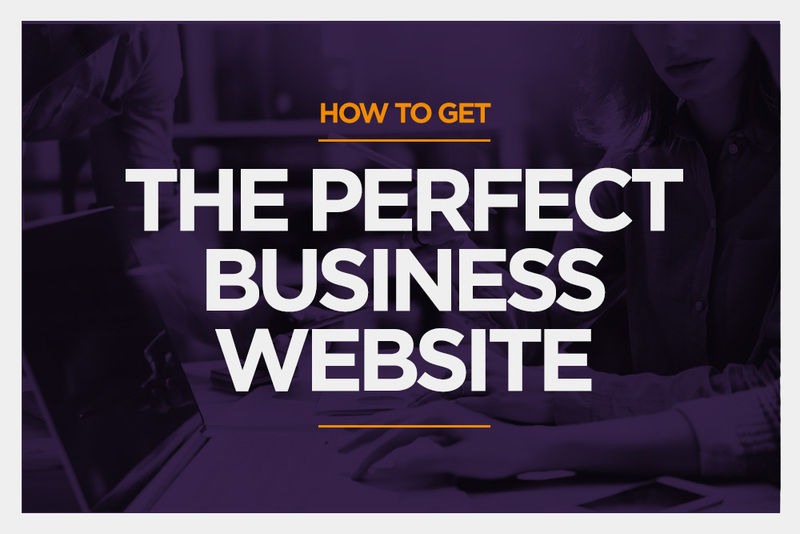 There are 4 simple steps to guarantee you get the perfect business website. 1) Choosing someone to build your business website design. Any good web design company, or web designer, understands this. Reassurance is key. Don’t worry. That’s what we are here for. We all know that feeling when you step outside your comfort zone and ask a question to an expert. You feel embarrassed, you know you are asking basics, you want reassurance. You should immediately feel comfortable speaking about your web design project. You’re looking for someone to guide you, you’re looking for someone who wants to help you, educate you and provide you with the confidence that you’ve found the perfect person to help. 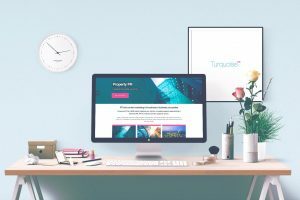 One of the first things we ask new enquiries to do is take a look at how to prepare a website brief – A clear list of your project aims and objectives. Supplying this to your web designer guarantees an in-depth evaluation of your needs, and a detailed proposal of what we, as designers, can provide you. Three simple words. Search. Engine. Optimisation. For those of us who build successful websites, these three words go hand in hand with the design process. We do not just make something pretty. There is no point in having a pretty website if no-one sees it. If you speak to a web designer and they do not ask you about search engine optimisation, then there is a high probability that they don’t build ‘successful’ websites. We also know a larger percentage of start up businesses have never heard the term ‘SEO’. I hear it every day from new enquiries. It’s totally understandable and we aim to teach you. We are not just designers, we are marketers. A lot of new business owners have been working for another company, gaining experience and becoming damn good at what they do. What they may not have been involved in is the marketing of the company. All of a sudden you are expected to not only do what you are good at, but very quickly learn a whole bunch of things you didn’t. From accounting, to marketing, to multi-tasking, to, well, SEO. You should feel that you can trust your web designer. You should hear things that reassure you that you are making the right choice. If you do not, thank them, put the phone down, and ring another. You will soon speak to someone who speaks the right words. You will get a huge range of design prices. I’m sorry. It’s inevitable. I know that what you want to hear is a standard price, something you can quantify. After all, if you want to buy a new car, you can go to 5 car dealers and they will all quote you about the same price. It doesn’t work like that with design. This is where confusion creeps in. 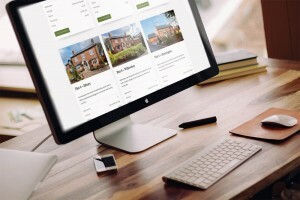 Your average Web Design Agency could easily quote you upwards of £3,000 for a 10 page website, £5000 for a more complex design and double that for an eCommerce website. Looking at the other end of the scale, you will discover people advertising to actually build a website for $5. You read that right. Five whole dollars. With prices as varied as these is it any wonder the whole pricing of design is confusing? I’ve been designing for over 20 years now. One thing I can safely say is that EVERYONE is a designer. You may think I’m being facetious. I’m not. I know clients like to be involved, like to have a say. That’s great. We collaborate. I’ve been there myself with creative agencies where you can feel irked by constant prods to be creative. Everyone has an opinion on design. It is subjective. What you think is superb, I could argue is amateur, clumsy, maybe ill-considered. Us? We’re right in the middle. A fair price for a good job. Not laden with overheads of beautiful buildings, rents and perhaps an indoor golf course. Pure design prices. You need to pay for professionals with a proven track record in helping businesses become successful. No-one actually enjoys the conversation about money. Not you, or me. What makes the whole process easier is to come prepared, with an idea of a budget for your project. We know you want to get the best price possible, for the best creatives you can find. Set your price point and speak to creatives, marketers, web designers and fellow business people. All will give you an idea of costs. It doesn’t matter what your budget is. You will find someone who will do it. What you have to decide is if it is an investment, or a compromise. 4) Setting goals, and your long term aims. 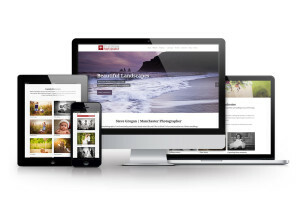 Your new website needs to meet the demands of your business. Set priorities on what you need the new website to achieve. Is it a blogging platform? Is it informal, trendsetting and vibrant? Or are you looking for eCommerce success, with additional plans to promote and market your product, or service, to the public? Does the design company excel at brochure design, leaflets, logo design, marketing methods and strategies? All of these skills complement the promotion of your business website. An interested designer gets to know your brand, talks to you, offers examples of similar projects and solutions they have thought of. An interested designer loves the challenge, and wants to exceed your expectations – not only in an aesthetic way, but in a successful way. Whomever you choose, make sure you get a responsive, mobile-friendly website. It must be clean. It must be professional. It must be easy to use. And then make it as fast as possible. A professional designer’s creativity, experience and technological skill will translate those goals and aims, to an online format ensuring your business website design is a success.